Our Customs Committee recently had a meeting with Khun Kulit Sombatsiri, Director General of the Customs Department, and his team to discuss the new Customs laws and next round of the Customs Alliance. More details can be read here. Also, please see attached the paper submission to the Customs Department on behalf of our AustCham members. One of the key outcomes of the meeting was the announcement of the next round of acceptance for the ‘Customs Alliance’ programme. As you may recall that at the start of 2017 the Thai Customs Department launched their ‘Customs Alliance’ programme – an initiative designed to facilitate faster and more transparent procedures for importers. Eligibility was selective, but did include companies which were registered members of Austcham. While there was great interest in the initiative, unfortunately many Austcham members missed the initial sign up period. From our meeting with the Customs Department, we have been informed that they are now accepting new applicants in May 2018, and we would like to know if you are still interested to join this program. The initiative is part of the Customs Department’s plan for facilitating more efficient and transparent interactions for importers into Thailand via the implementation of a new mobile-friendly application designed to enhance the interaction between importers and the Customs Department. Applicants to the initiative recognised as low risk will receive prioritised trade services such as enhanced advance ruling on imports as well as a dedicated account officer for liaison purposes. 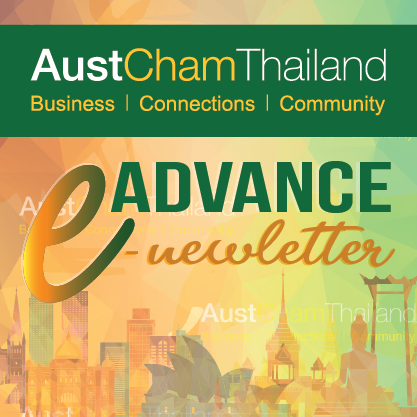 The Customs Alliance is grounded in a set of global standards agreed at an international level by Customs agencies worldwide, and the roll-out in Thailand is modelled on a number of similar systems already used regionally in Australia, New Zealand and Singapore. AustCham will submit your details to the Thai Customs department, after which, Customs will provide a link for you to register directly online.